The first thing you notice when you walk into the Bud & Breakfast called "B and B 420" is that it's really, really clean. It's that feeling of relief you get when you realize that the place you're staying will be nice — better than nice, nicer than your house. 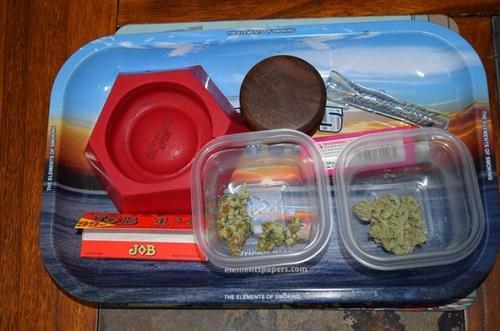 The second thing you notice is the faint smell of fresh marijuana in the air, your one gram sample waiting for you in a tupperware on the coffee table tray, beside some rolling papers and a pipe. The third thing you see is the light streaming in the window, bouncing off the snowy backyard, highlighting the tasteful furnishings, the king-sized bed, the flatscreen TV, the "No Smoking" sign with the "B&B 420" poster hanging ironically right across from it. The sign isn't tongue-in-cheek — there is no cigarette smoking allowed here. Strictly marijuana.